Were you injured in an accident that was caused by the recklessness or carelessness of a government official or a government entity? If so, it is imperative that you consult with an experienced Texas personal injury attorney immediately. You may be entitled to compensation for your injuries, but there are special rules and procedures that will impact your claim. While you can generally bring a claim against government entities in Texas, doing so is more complicated than is bringing most other types of personal injury lawsuits. Under our state’s regulations, these cases typically must be brought under the Texas Tort Claims Act. Here, our experienced Houston personal injury lawyers explain the most important things that you need to know about the Texas Tort Claims Act. In the United States, every state government has sovereign immunity. In essence, the government and government entities are immune from lawsuits. You can only sue the government if the government consents to your right to bring such a lawsuit. The purpose of the Texas Tort Claims Act is to provide injured victims with a legal path to recovery. In other words, under the Texas Tort Claims Act, sovereign immunity is waived. This means that victims can bring a personal injury lawsuit against many government entities in Texas. However, it must be noted that the process is deeply complex. Far too many people lose out on their ability to recover compensation under the Texas Tort Claims Act because they make avoidable mistakes during the claims process. When suing the government or a related entity, you should always be represented by a qualified personal injury attorney. What Cases Can Be Brought Under the Texas Tort Claims Act? You can bring a personal injury claim under the Texas Tort Claims Act if you meet certain criteria. Most important, your injury claim must be eligible for coverage under the act. Currently, injured victims can pursue compensation for government vehicle accident injuries, negligent actions by the government or government employees that result in injuries, and negligent government actions that result in wrongful death. Is the Government Responsible for the Negligent Conduct of Employees? Yes. Under the Texas Tort Claims Act, state and local government entities are legally liable for the negligent actions (or inactions) of employees. A government entity cannot escape legal liability by simply stating that an accident was the fault of a negligent employee. Texas government entities have a responsibility for the employees that they have hired. Though, to be clear, the government is only responsible for an employee when that individual is acting within the scope of their role in the government. The non-job related personal conduct of an employee is not the responsibility of the entity. How Much Compensation is Available Under the Texas Tort Claims Act? As with personal injury claims that are brought against private parties, victims of government entity negligence are entitled to compensatory damages. In other words, victims can recover compensation to the extent that they can prove that value of their losses. All cases are fact-specific; financial relief may be available for medical bills, lost wages, pain and suffering, and permanent disfigurement. However, unfortunately, the Texas Tort Claims Act has damage caps. Under Texas law, government entities may not be held liable for more than the maximum amount. Under current regulations, the caps are set at $250,000 per person, $500,000 per occurrence in bodily injury cases, and $100,000 in covered property damage. Does the Texas Tort Claims Act Indemnify Public Officials? No, there are no provisions within the Texas Tort Claims Act that provide blanket legal protection or immunity for government officials. In certain cases, victims may be able to bring a personal injury claim directly against the public official whose negligence caused their accident. However, immunity is available for public officers in certain circumstances. These cases are especially complex, and victims considering this option should always be represented by a qualified personal injury attorney. Put simply, bringing a successful personal injury claim against a Texas government entity or public official is extremely challenging. To get the full and fair financial compensation that you are owed, you need to be sure that you have carefully prepared a strong, persuasive legal case. 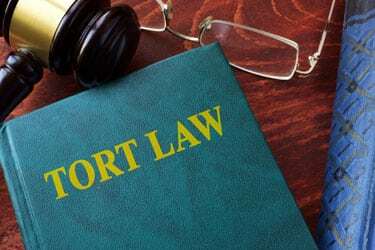 At Sutliff & Stout, we have helped many injured victims pursue compensation under the Texas Tort Claims Act. Contact information for you and your legal counsel. You can expect that state and local government entities in Texas will hold you to the strict deadlines and evidence standards set forth by the Texas Tort Claims Act. This law is not particularly friendly to injured victims. It requires to you to complete several different complicated steps to get fair compensation for your losses. You should not try to navigate this process all on your own. Get your legal claim into the hands of an experienced personal injury lawyer as soon as you possibly can. At Sutliff & Stout, our Houston personal injury attorneys have extensive experience handling cases under the Texas Tort Claims Act. If you were injured due the negligence of a government entity, we can help you get the full compensation that you deserve. To schedule a free, no obligation case evaluation, please contact our legal team today.